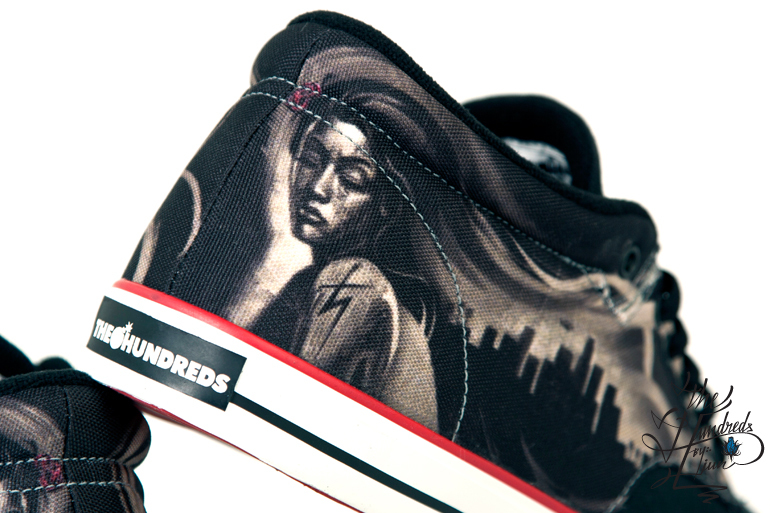 This week, The Hundreds Footware will be releasing a special version of the JohnsonMid, done in collaboration with L.A. based artist Jun Cha, a globallyrespected tattoo artist and also a dedicated fine artist and oil painter. 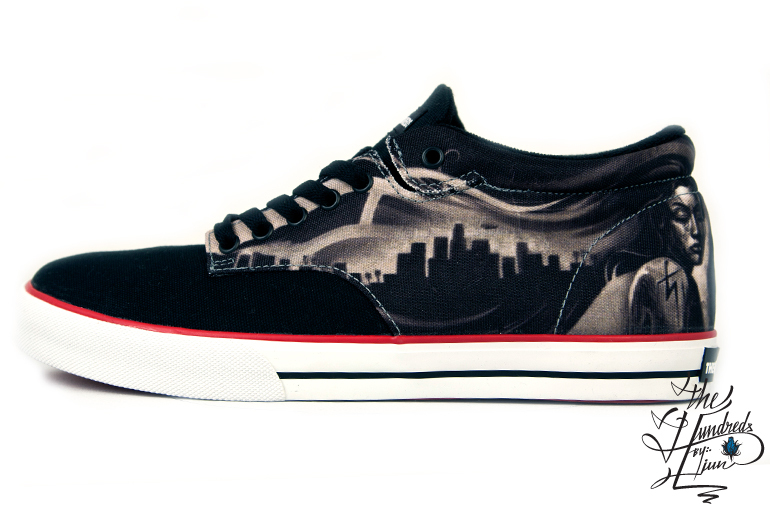 For this collaborative project, the Johnson Mid features original Jun Chaartwork inspired by the cityscape of Los Angeles. 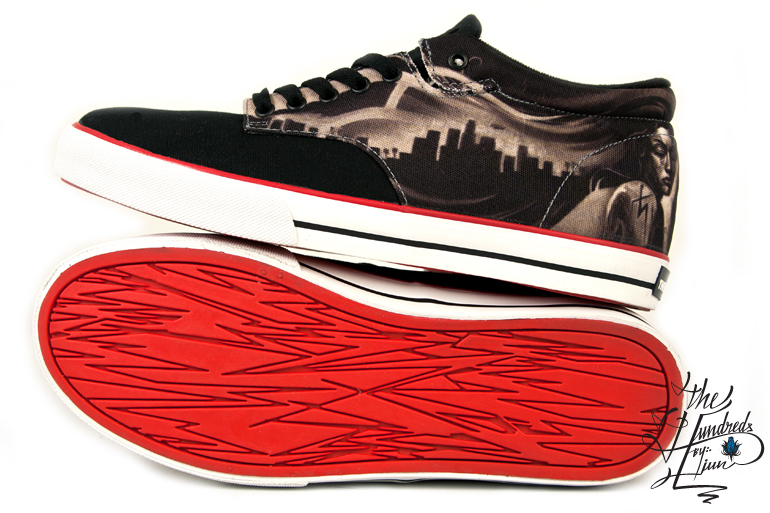 The Johnson Mid alsofeatures The Hundreds signature JAGS motif on the soles, light foam paddingat the tongues and collar openings for comfort, as well as soft EVA insoleswith a half-length latex insoles for cushioning. 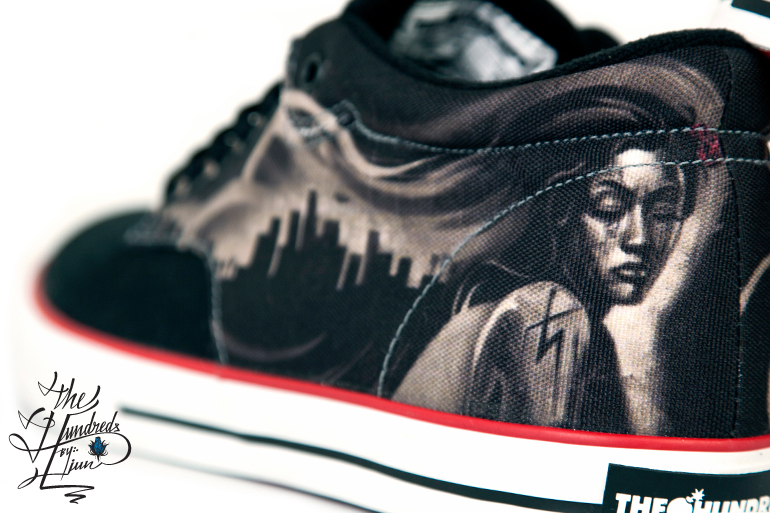 Available this Friday morning at THLA, THSF, and THNY.